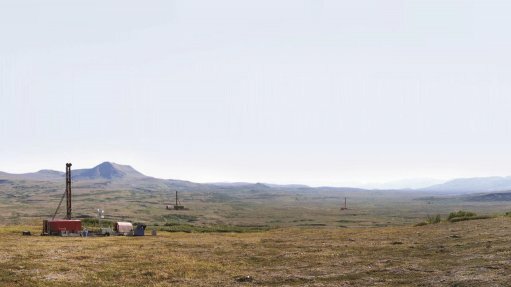 TORONTO (miningweekly.com) – Following a public comment period that ended on Friday, the US Environmental Protection Agency’s (EPA’s) docket containing all comments and submissions regarding its ‘proposed determination’ to restrict the use of certain watersheds in Southwest Alaska as potential disposal sites for mine waste from the world-class Pebble copper/gold/molybdenum deposit had, by Monday, received 160 184 comments, and counting. Northern Dynasty and subsidiary, the Pebble Limited Partnership, planned to develop the $6-billion to $8-billion Pebble project, which had been billed as one of the largest remaining undeveloped base metal and precious metal resources in the world. In a move regarded by observers as the EPA rejecting requests to pre-emptively veto the Pebble project in favour of imposing specific conditions on future development, the EPA on July 21 published in the federal register, a ‘notice of proposed determination’ under Section 404(c) of the Clean Water Act, to restrict the use of certain waters in the South Fork Koktuli river, North Fork Koktuli river and Upper Talarik creek watersheds as disposal sites for dredged or fill material. The notice established a public comment period that ended on Friday, during which the EPA held seven hearings throughout the region during the week of August 11. More than 830 community members, 300 of whom provided oral statements, participated in the process. The EPA's regulations required that, within 30 days after the conclusion of public hearings, the regional administrator had to either withdraw the proposed determination or prepare a ‘recommended determination’. However, in certain cases, the EPA could extend this time requirement, which acting regional administrator for Region 10 Michelle Pirzadeh did on September 11. EPA spokesperson Judy Smith confirmed to Mining Weekly Online that the sheer volume of comments prompted the agency to give itself more time to decide what it would do next. “[The] EPA believes that more time is necessary to adequately review and consider the many thousands of comments we have received. To allow full consideration of the extensive administrative record, including public comments, we extended the time period … to no later than February 4, 2015,” Smith said in an emailed statement. She added that the EPA Docket Center would be processing the comments received during the last week of the comment period for the next several days. “As of this morning, there are about 160 000 comments in the docket, but we expect the numbers to go up significantly as all the comments received last week are processed,” Smith pointed out. She noted that the docket listed 2 630 unique submissions, with the remainder being from mass e-mail/petition/postcard drives. “[The] EPA will review the public comments and all of the information submitted by the Pebble Limited Partnership, Northern Dynasty Minerals and the state of Alaska before making a recommendation to withdraw the proposed determination or to proceed to a recommended determination. “[The] EPA will prepare a response-to-comments document to accompany our decision on the next step,” Smith highlighted. The EPA held two public comment periods in 2012 and 2013 while completing the risk assessment for Bristol Bay, in which more than 1.1-million comments were submitted on the two Bristol Bay Watershed Assessment (BBWA) drafts. Nongovernmental organisation (NGO) Earthworks on Monday published a statement in which it claimed the public had, in the most recent public hearings, submitted 700 000 comments to the EPA in support of its proposed determination, bringing the total submissions from previous public input to 1.5-million comments. Smith said the EPA could not verify these numbers. “It’s really not about numbers. It’s about substantive input. We know that a lot of hay will be made with these numbers,” Northern Dynasty Minerals VP for public affairs Sean Macgee told Mining Weekly Online from Vancouver. He revealed that the company did not view the majority of comments as substantive input on the disputed BBWA the EPA had produced, stressing that more than 156 000 of these comments were generated by at least 13 different environmental organisations, with most comments being click-through traffic from social media sites. Macgee added that there were reports that some NGOs even offered prizes for participation in their campaigns against the Pebble project. Macgee characterised the volume of submissions to the EPA as being “just another dimension of how the EPA’s process is distorted from what is usually a very fact-based, objective and empirical process to review projects”. Macgee said Northern Dynasty had signed nondisclosure and confidentiality agreements with a handful of interested companies that were currently perusing the company’s extensive data room, busy undertaking due diligence with a view to becoming a major funding partner for the project. Diversified mining major Anglo American in December pulled out of the project, leaving Northern Dynasty to go it alone and have the full, sole benefit of the more than $556-million spent on the project so far. “Our project planning is very advanced. There’s been a tremendous amount of work done. We could be in a position to define a mine plan and move forward into permitting in a matter of months. “However, the feeling is that when we bring in a new partner, they would want to be a part of that process and first review the work that we’ve done and optimise the mine plan. We are unlikely to submit a mine plan for approval until we get a definitive outcome on the EPA process and have a funding partner in hand, at which point the project should move forward relatively expediently,” Macgee commented. Northern Dynasty was currently embroiled in litigation against the EPA to halt the pre-emptive regulatory process under Section 404(c) of the Clean Water Act, and invalidate the conditions proposed by EPA Region 10. Further, the lawsuit brought by Pebble and the state of Alaska against the EPA was ongoing, and there were a number of investigations yet under way regarding the EPA’s BBWA and its pre-emptive regulatory process – including one by the Office of the EPA Inspector General and another by the House Committee on Oversight and Government Reform. There were also two bi-partisan Bills pending in the US House and Senate that sought to clarify that the EPA did not have authority to pre-emptively veto or otherwise restrict development projects prior to the onset of federal and state permitting. Northern Dynasty held that the EPA’s proposal was based on a watershed assessment that its peer reviewers found to be “no better than a screening document”, and which the EPA’s professionals had recognised was “missing the information needed for a permitting decision”. The project’s key assets are the near-surface 4.1-billion-tonne openpit-style Pebble West deposit and the deeper and higher-grade 3.4-billion-tonne Pebble East deposit, which is amenable to underground bulk mining methods. The Pebble resources rank among the world’s most important accumulations of copper, gold and molybdenum. Estimates show that the Pebble deposit comprises measured and indicated resources of 5.94-billion tonnes, grading 0.78% copper equivalent and containing 55-billion pounds of copper, 67-million ounces of gold and 3.3-billion pounds of molybdenum. The deposit also has 4.84-billion tonnes of inferred resources, grading 0.53% copper equivalent and containing 26-billion pounds of copper, 40-million ounces of gold and 2.3-billion pounds of molybdenum.